Betting Games: A Necessary Evil? Although the Act that regulates lottery is completely different from gaming, growing up, I have known just a few games of chance. Amongst them are; lottery, TV game shows (It Takes two, Agoro, Who wants to be rich? etc), public spin boards and dart to name just a few. Unregulated ones include; card gambling, event/outcome gambling etc. In recent years, there is the proliferation of gaming (centers) in Ghana especially sports betting which in a way or somewhat overshadowed the traditional games of chance. Albeit the significant economic gains the country derives, one would ask, what impact does it have on the youth patronage? Ghana is one of the more stable countries in Africa and has a vibrant economy. It also has an adventurous population that loves all forms of betting and games of luck. There exist a thriving casino and betting industry with many betting companies in Ghana. Gambling is legal in the country and is regulated by the Gaming Commission of Ghana (GCG). Among the various forms of betting, Ghanaians love the sports betting games. In fact, the craze for the English Premier League, Spanish La Liga, Serie A, Bundesliga, Champions League, tournaments, etc and other sports bookies, both offline and online, are flocked by passionate Ghanaians looking to place bets on their predictions for the games of the league. The increasing spate of patronage by Ghanaian youths is worrying and I think should be looked at and regulated properly. Another worrying trend which is currently being overlooked is the spiral soar of Game Boxes at restaurants, spots, bars, shops and other places of interest that is frequent by children as little as 5 years old and teenagers. This situation is frightening and if care is not taken, will exacerbate. I observed a troubling trend in my holy town (Abor, under the Keta Municipality) in a school where my mother teaches. Most of the young ones wouldn't stand the temptation of sight of a coin. Chancing on money irrespective who it belongs to; they quickly dash to the nearest Game Box sometimes during classes hour to gamble. Most of these little ones congregate at Game Centers after school hours heavily indulging in gaming stead of undertaking house chores, homework, rest or interesting/educative hobbies, they choose to play games for money. I have observed that the situation is not peculiar to my town but a growing "epidemic" in the regions. Sports betting in Ghana is fast proliferous and in my opinion, is gradually affecting the society. The desire of some youth to obtain wealth within a short period must not be ignored. This is contributing to dwindling labour amidst the unemployment challenges and other vices. Morality might not be accepted in a certain context in the face of the law however the Bible in the book of Proverbs 13:11 clearly states that: “Wealth obtained by fraud will dwindle, but whoever earns it through labour will multiply it.”. Betting has also contributed in a way to corruption. Until the Anas Aremeyaw Anas exposé (Number 12) on football corruption, I have not known this. A friend who used to work with one of the sports betting companies confirmed to me that, some of the gaming companies folded up due to the corrupt activities of the "football people". "After influencing the outcome of the game, they bet heavily on their orchestrated outcome for wins," he said. I wouldn't be amazed to learn that gaming can lend to the depreciation of the cedi. Most betting companies are foreign investments. The crave to bet is quite alarming and my little knowledge in demand and supply establishes the fact that high demand will warrant inflation. 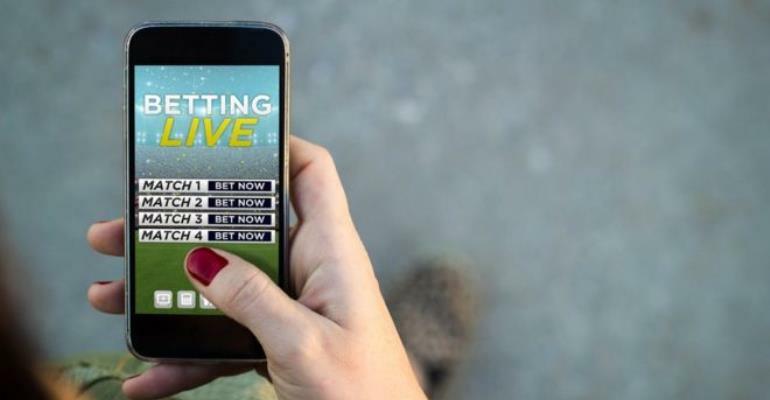 Recently, a report making rounds indicated that President Yoweri Museveni of Uganda banned the issuance of new licenses to sports betting companies as well as the renewal of expired ones to avoid the over-proliferation of sports betting centres in his country. I may not know the actions/plans in place to further regulate sports betting and other forms of gaming in Ghana. Apparently, I think the authorities should put in as much control. It will not be out of place to inculcate the formalization of the economy into the activities of betting i.e. the newly introduced identification card can be used. Whereas it identifies people with age, employability and income level, TIN and maybe SSNIT so that a part of their win can be contributed to their social pension. Also, I plead with the authorities to look at these activities involving children. They are our future and we have to nip it in the bud now. Another form of gaming is the "Casino" which will be spoken about at a later day.